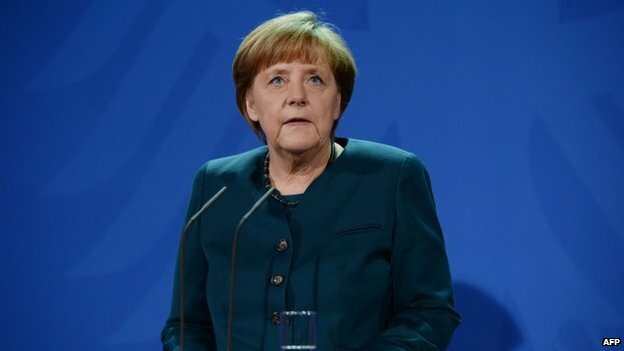 German Chancellor Angela Merkel is proposing building up a European communications network to help improve data protection. It would avoid emails and other data automatically passing through the United States. In her weekly podcast, she said she would raise the issue on Wednesday with French President Francois Hollande. Disclosures by the US whistleblower Edward Snowden suggested even the mobile phones of US allies, such as Mrs Merkel, had been monitored by American spies. Mrs Merkel criticised the fact that Facebook and Google can be based in countries with low levels of data protection while carrying out business in nations that offer more rigorous safeguards. "Above all, we'll talk about European providers that offer security for our citizens, so that one shouldn't have to send emails and other information across the Atlantic," she said. There was no doubt that Europe had to do more in the realm of data protection, she said. A French official was quoted by Reuters news agency as saying that the government in Paris planned to take up the German initiative. Personal privacy is a sensitive issue in Germany where extensive surveillance was carried out under the Nazis and in communist East Germany. A foreign policy spokesman for Mrs Merkel's Christian Democrats, Philipp Missfelder, recently said revelations about US spying had helped bring relations with Washington down to their worst level since the US-led invasion of Iraq in 2003. Germany has been trying to persuade Washington to agree to a "no-spy" agreement but without success.